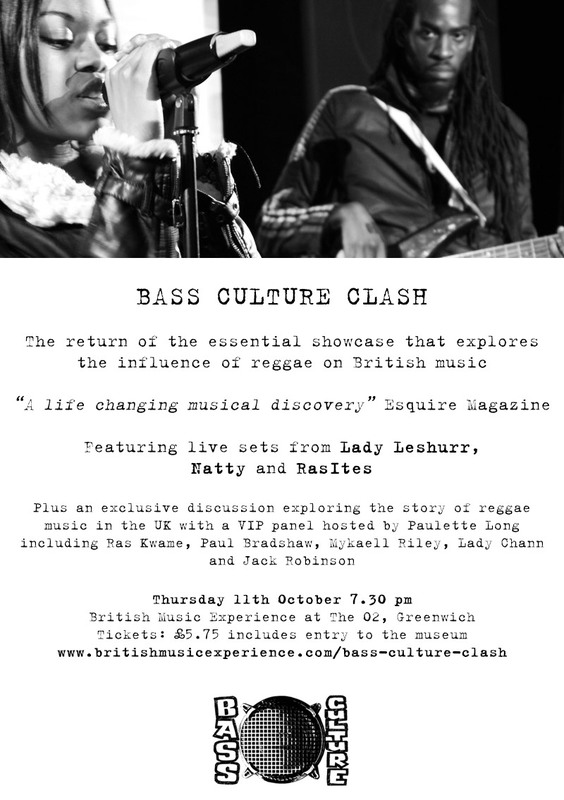 I’m on the panel for this Bass Culture event…. this coming Thursday at the BME in the 02…the 11th… if you fancy checking our Word Sound & Power: Reggae Changed My Life exhibition… this is most definitely a good opportunity… get there early and snap up a set of our freshly printed post cards…. nice! This entry was posted in Urban runnings..., Words, Sound & Power and tagged 02, Bass Culture, British Music Experience, Britsih Underground, Lady Chann, Lady Lessur, ras Kwame, Rassites, Reggae, Reggae Changed My Life, Sound System, Word Sound & Power. Bookmark the permalink.